There is a wonderful exhibit at Wallach Art Gallery at Columbia University. 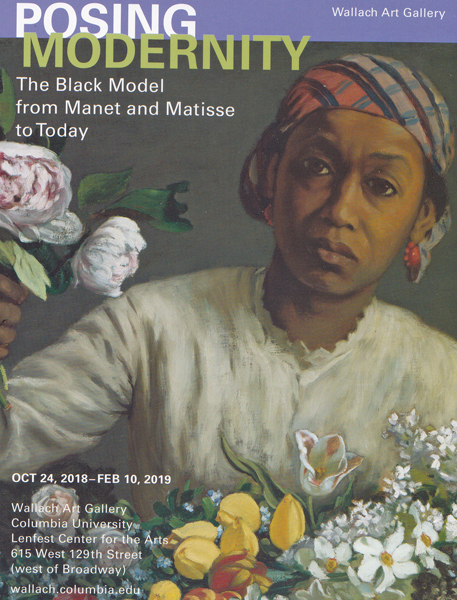 Black models depicted in drawings, paintings, and sculpture by major artists are included in the exhibit. 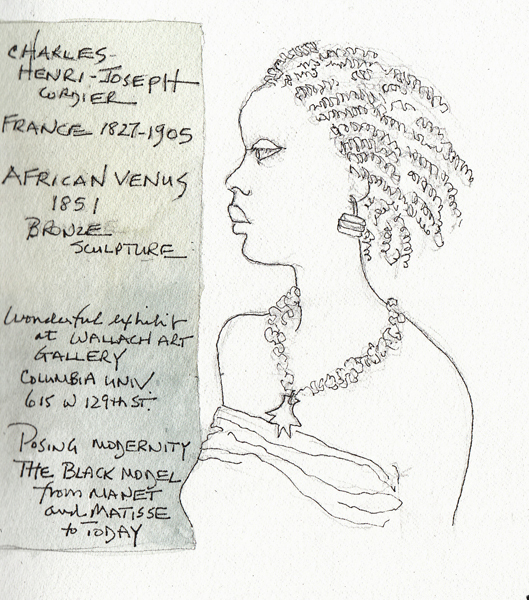 I enjoy sketching sculptures, and loved African Venus by Charles Henri-Joseph Cordier (1851). Here is the exhibit information which doesn't close until February 10th. The Gallery is in a building at 615 E. 129th Street, and is part of the newest campus for Columbia University. It is worth the trip uptown. 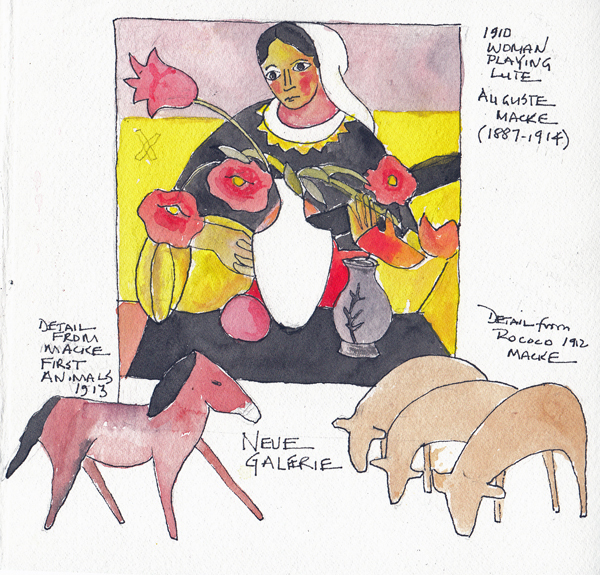 My friends Pat and Eunice met me last week to see the Macke-Marc exhibit at Neue Galerie in Manhattan. 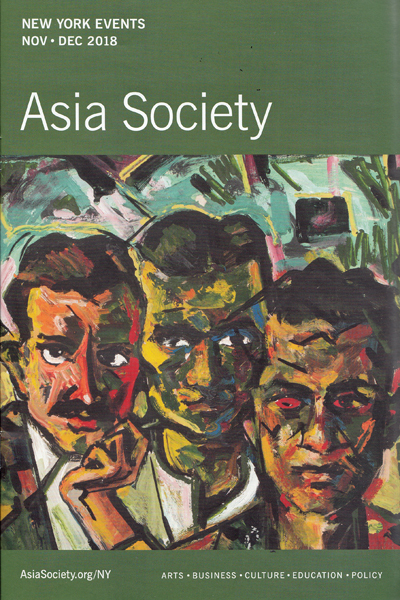 This exhibit focuses on paintings and their lives between 1909 and 1914. 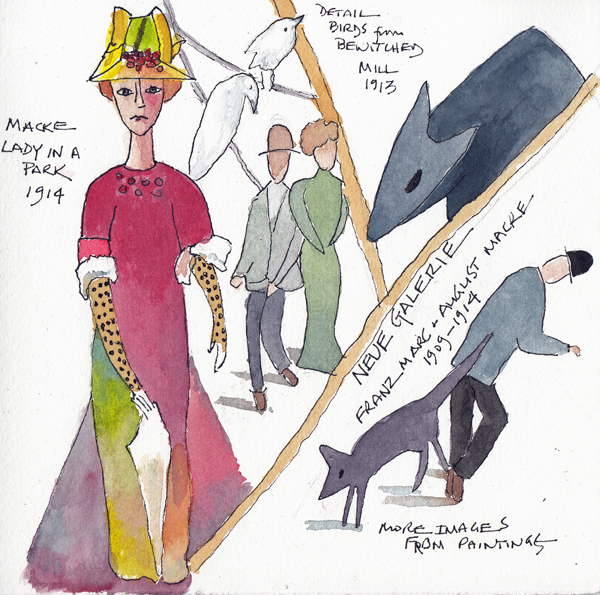 Both artists died in WWI - Macke in 1914 and Marc in 1916. Between 1909 and 1914 they were friends, traveling and showing their works together, and they definitely influenced each others paintings. I love German expressionism and this exhibit was wonderful - the color alone was inspiring. I walked through the exhibit with my sketchbook open, and quickly drew shapes and figures as I went. 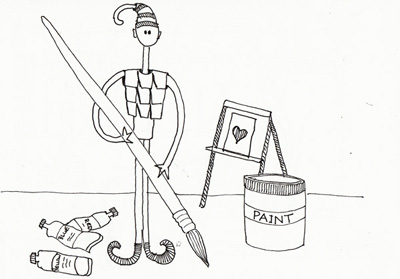 The two page spread was painted at home. 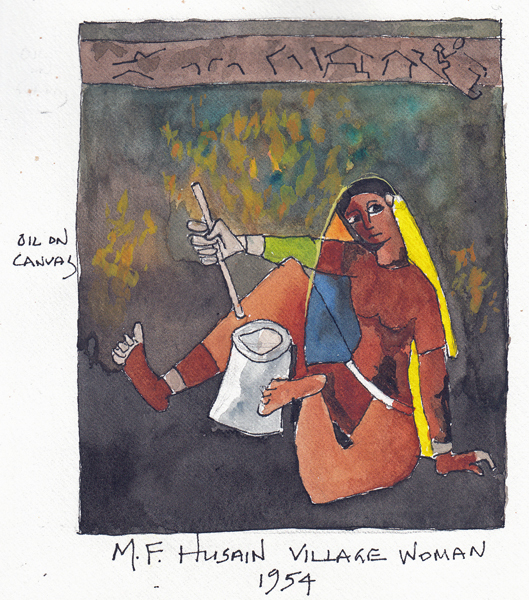 I saw the woman below in a previous exhibit at MoMA and sketched her and painted her then. I even made long magnetic bookmarks from prints I made from that painting. And I still love her! 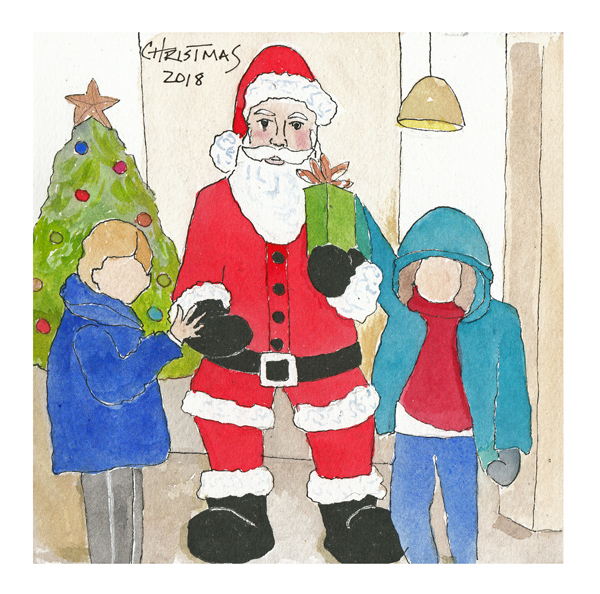 The exhibit closes January 21, 2019. The Klimt paintings, including Lady in Gold, are permanently on display and the small second floor gallery has wonderful drawings, hung 3 deep on 4 walls, by Klimt and Schiele.